Desert Moon Hotel is located in the heart of Cerritos Beach. 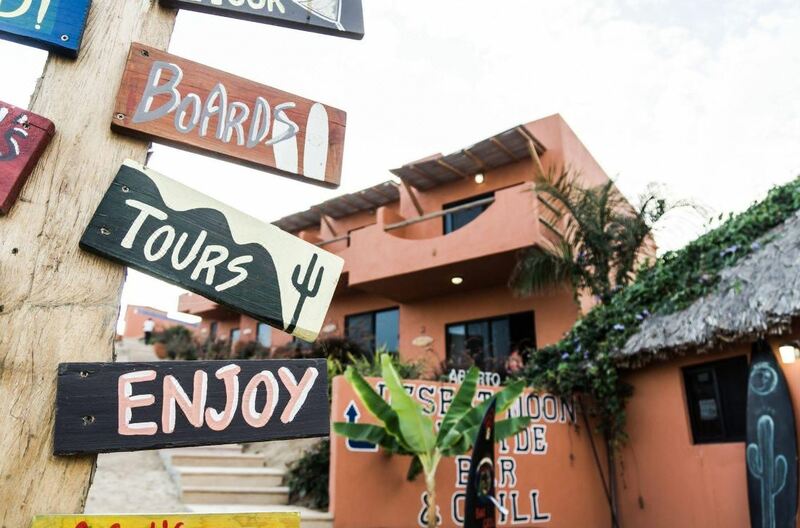 It's the closest hotel to the surf point and it's just a 15 minute drive from Todos Santos Pueblo Mágico. You can choose between a room for 4 people with 2 Queen Beds, or a room for 3 people with a King Bed.We are proud to have the best Wi-fi in town. *Ocean view rooms are subject to availability. You can choose between a room for 4 people with 2 Queen Beds, or a room for 3 people with a King Bed. We are proud to have the best Wi-fi in town.